James Nash declared that his “mission had been accomplished” at Brands Hatch in the latest rounds of the Blancpain Sprint Series. The 29-year-old from Milton Keynes posted eighth and ninth place finishes in the two, one-hour races but most importantly clocked up more valuable mileage in the Audi R8 LMS ultra. Nash has competed in less than 10 races in the W Racing Team (WRT) Audi so was understandably delighted to record further mileage in the R8 LMS ultra. Nash scored three top-10 placings with WRT in last year’s five-race Blancpain Endurance Series including an excellent third place on his Spa 24 Hour debut. “With every race I gain more experience and two top-nine placings is encouraging progression for me,” he said. 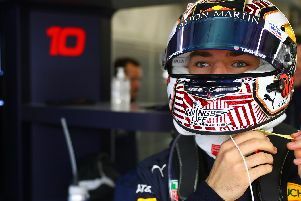 “With every practice session and race I make a step forward so it bodes well for the rest of the season. “My first ever race at Brands was in Formula Ford 1600 in 2007 and I scored two fourth and a third-place finish. And my last race at Brands was in 2011 in the BTCC. I qualified third and placed third, fourth and sixth in the three races. “I’ve raced the Audi less than 10 times in the last 18 months and so I still have a lot to learn about the car. “I’d never previously driven a GT3 sportscar around Brands. It’s not an easy car for me to be immediately on the pace with, especially considering the experience of the opposition. “So to get as close to them as I did is a positive for me.